Hey there, friends! Do you love a challenge? I definitely do. Nothing gets the creative juices flowing like having to come up with an idea to fit a theme, a building material, etc. Some of my blogging friends and I have been challenging each other every month or so with a new, fun building theme. You may remember the famous One Board Challenge, or the most recent DIY Lighting Challenge. With the weather warming up and everyone heading outdoors, I thought now would be a perfect time to create a Great Outdoors Challenge. This challenge isn’t just closed to a few of my friends though, everyone is invited to join in on the fun! Even if you don’t have a blog! The rules for the challenge are simple. Create a project of any shape or size for your outdoor space. 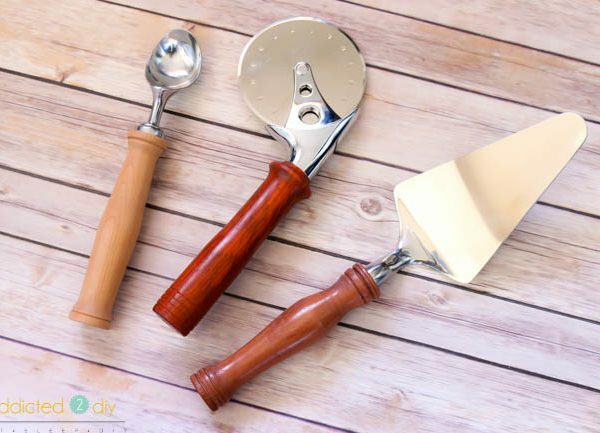 You can use wood, metal, concrete, or whatever you like. You can even upcycle something! There just has to be a building element to the project. On April 29th at 7 a.m. EST, we’ll be posting our projects on our blogs. I’ll have a link up for you to include your project in the party! If you’re participating, shout it out! 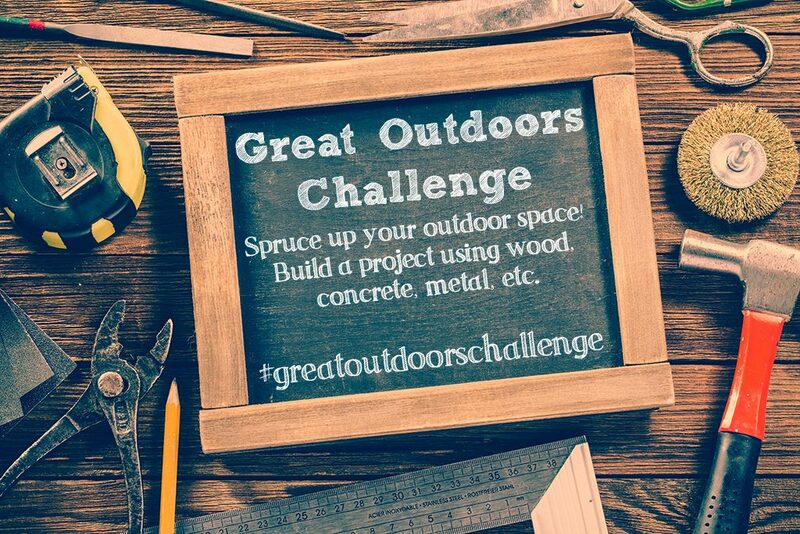 Share your progress pics and/or finished pics on social media with the hashtag #greatoutdoorschallenge. Invite others to join in on the fun! Don’t have a blog? No problem! You can still participate in the challenge. Just upload your image directly to the linkup for everyone to see your creative genius! So who’s in on the challenge? Let me know in the comments! 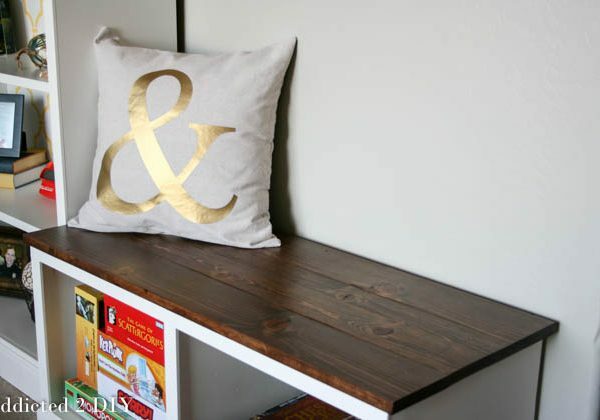 DIY and Home Decor Blog Swap – Meet Beth! 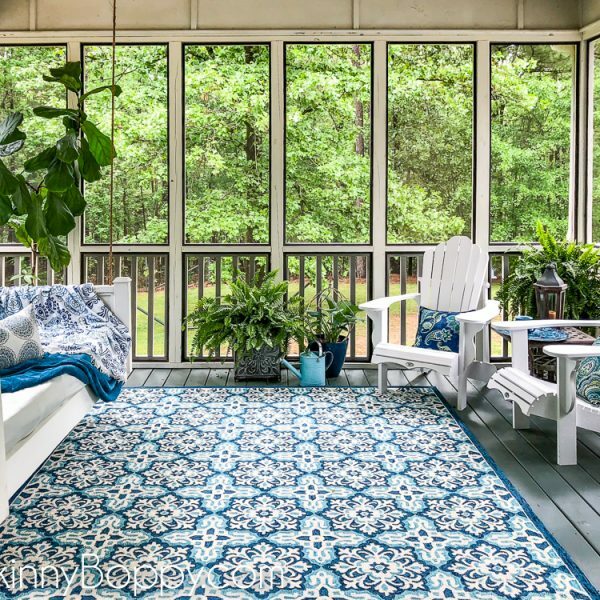 This challenge has come at a great time since I plan to put my screened porch room back together for the season and had already been thinking of projects I need to add to the space. 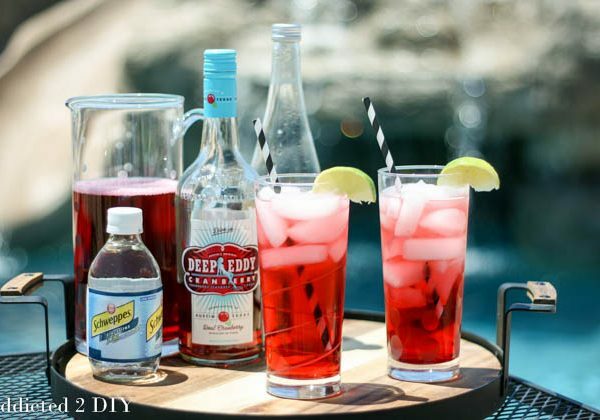 Let’s see if I can pull it off at the same time as planning my son’s wedding shower? LOL Can’t wait to see all the projects that get posted. So glad you’ll be joining in on the challenge, Donna! This is a great challenge and perfect timing as we hope to start some projects this weekend. It will be fun to see everyone’s outdoor creations. I’m sure it will spark some creativity for our home as well. Thanks for the motivation! That’s great! I look forward to seeing what you come up with! This seems like a great challenge. I’d love to be a part of it, currently working on beautifying our outdoor space so this is going to be fun to see! Yay! Glad to have you on board with the challenge! That’s such a fun challenge! Yikes! I can’t even imagine. Hopefully the weather warms up for you soon! I am so happy I just saw and read this! I just started blogging and this will be a great post to do! Not mention, super exciting! Thanks! So glad to have you on board Caroline and congratulations on the start of your new blog! Good post Katie! Will there be some DIY lamp challenge in future? Actually, there was a DIY lighting challenge back in February. There were some really great projects!